All of my websites are hosted with BlueHost and I only have good things to say about them. Their up-time is excellent, the pricing of their plans is very affordable plus their 24/7 LIVE support is highly professional and an incredibly helpful tool. Actually, I really can’t see any reason why you would want to use a different hosting company? If you deal with loads of eBay listings, product images or any other files you need to regularly upload to your hosting account, then File Zilla is for you! It’s a FREE, desktop based FTP software that connects your PC to your hosting account. That means there’s no need to use the time consuming File Manager via your hosting cPanel – with File Zilla it takes just a few simple seconds to transfer files to or from your hosting account. Click Here for a quick video on how to set-up and use File Zilla. Big Commerce is one of the best & most user-friendly shopping carts out there. It also has a great selection of free themes, an app marketplace and a large network of developers. The perfect solution if you’re looking for a shopping cart that’s a little more sophisticated – 3D Cart allows you to manage multiple suppliers & dropshippers, plus offers many more cool features. The only real downside to 3D Cart is that it’s quite expensive to customise so if you’re just starting out or on a short budget, this may not be the best shopping cart for you. One of most popular FREE shopping carts... perfect for people who are just starting out and working with an ultra-small budget. To use Open cart, all you need is a hosting account and a domain name. The user interface is pretty intuitive and the cart covers most of the basic features and aspects you’d expect from a shopping cart. There are hundreds of additional, paid and free plugins as well as a multitude of available templates. If you need a blog created for your online shop, WordPress is the way to go! It’s simply the best blogging platform out there (my own blog is created using WordPress!). Honestly, Terapeak is the world’s BEST eBay research tool! If you sell on eBay, then you honestly must have a Terapeak subscription, it will be invaluable for your business. 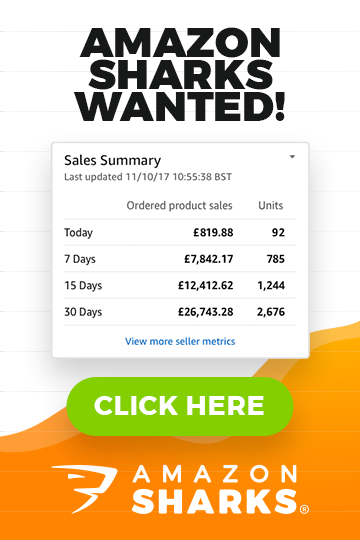 It will help you maximise your selling prices (and profit! ), track your eBay competition, research new products and so much more! This will allow you to see what people are really looking for on Google! And it’s completely FREE to use! Probably the best research tool to find new products and niches, and to analyse PPC prices and your overall competition. A must have tool if you’re serious about making money online! To make the most out of this, open a free AdWords account here and then you can access the Keyword Tool from the ‘Tools’ section of your account. A very comprehensive keyword analysis tool; incredibly useful for researching high traffic and low competition keywords as well as analysing your competitions efforts. Do not write another product description or blog post without FIRST analysing your keywords through Market Samurai! Works very well in conjunction with Market Samurai. I personally mostly use Traffic Travis for keyword tracking and to monitor how well I’m doing on search engines for the specific keywords that I’m targeting. Traffic Travis has a free to use basic version and also comes with some cool video lessons about SEO and how to make the most out of the keyword research software. eBay’s own listing tool. I use it to create, manage (duplicate, copy, bulk-edit etc. ), schedule and upload listings to eBay. There is a learning curve involved (just like with any other software/tool) but if you spend the initial time learning how to use it properly then it can save you hours upon hours each week on creating and managing listings. At 5 quid per month, Selling Manager PRO offers incredibly value for money. SMP will automatically send e-mails to your buyers and leave feedback; it will give you options for inventory tracking (including the use of SKU numbers), extensive selling & traffic reports and much more! If you’re serious about selling on eBay, SMP is a MUST HAVE subscription to go along with your eBay shop. If you plan to expand your eBay business to Amazon, Play Trade, your own website, or offline channels – then you’ll really struggle without a good cross channel stock management and order processing system. And Linnworks is exactly that – an order management and stock control system that integrates sales across multiple channels. It handles everything! Order fulfilment, shipping, stock control, invoice printing, packaging slips and label printing, all this is taken care of under one system – saving you time and money! Excellent Live Chat software that I’m using on all my eCommerce Shops. Great flexibility, custom design options, a desktop application and more – Provide Support really provides the best features from any Live Chat service I’ve seen. And at only $99 per year they deliver one of the best value deals too! If you’re looking for a simpler Live Chat solution, Snap Engage may be exactly the solution. Very easy to install, it can be used with Skype or Gmail and looks great on your site! The only downside is that pricing plans start at $49 per month, which is quite a lot in comparison to Provide Support! One of the best e-mail auto-responders out there, and my personal favourite. 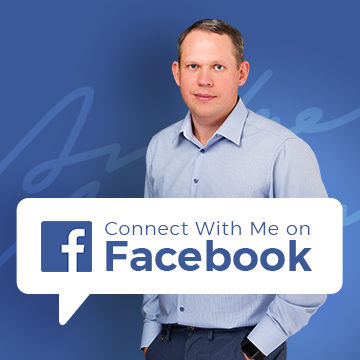 I’ve been with aWeber from day one in my online business and can highly recommend their service. aWeber gives you the tools to build your customer e-mail data base and to send out auto responder messages and follow up broadcasts. Most importantly, it integrates perfectly with PayPal and dozens of other websites. Offers basically the same service as aWeber. Also integrates with PayPal so again it’s perfect for eBay sellers. Comes with a FREE basic account (up to 2,000 subscribers and some reduced features compared to the full version) so you have no excuse not to try it out! If you’re not building your customer data base, you’re quite simply leaving money on the table. This is my favourite outsourcing platform. I have run 100+ projects on eLance over the years and I’ve been satisfied with the majority of them. What I like most about eLance is that posting projects doesn’t cost you anything + it has thousands of active, quality freelancers eager to bid on your projects. If you’re looking for low budget, cheap outsourcing tasks, Fiverr is the place to go. Whether that’s a quick logo design, a 3D cover, and product video or animated logo – you can get all these tasks done on Fiverr for…$5. Talk about value for money! Another great freelancing website; oDesk in general attracts cheaper labour and lower quality workers than eLance plus it has a very nice hourly rate system built in that allows you to monitor what your employees are doing. I use oDesk mostly to find part-time and full-time employees based in Philippines. This is a photo slide show creation software that allows you to create cool product videos or really any kind of video that is made up of photos and text (and video clips too). It’s very easy to use and an extremely affordable solution as it only requires a one off purchase. Another photo slide show tool, but web based. There are several account types available starting from a basic FREE account, all the way up to the PRO account. Pro subscriptions start at $20 per month. Animoto is super easy to use but is limited in the features that are available + the monthly fee could turn off many people, especially in comparison to Pro Show Gold. The super, user friendly video player that allows you to play YouTube videos on your website, blog, online shop or eBay listing. Comes with a “Call to Action’’ button feature which is a very handy tool, and can be used to add Buy It Now links at the end of your videos. If you ever need to use screen recording software, Camtasia is the way to go. I use it for all my tutorials and video courses. Though it’s not cheap; when it comes to the features it offers, there are no real alternatives out there. I highly recommended this tool if you’re in a How To niche or simply need to do a lot of screen recording (how-to) videos. I can’t imagine my day without Gmail! It’s simply the best e-mail program out there. It’s quick, simple and reliable. The archive and archive search functions are worth signing up for alone! I have ‘connected’ all my e-mail addresses to Gmail and it works great. Forget about those slow and ugly webmail services your hosting company offers and sign-up for your free Gmail account now! When you have an online shop, you need some sort of analytics software to monitor traffic, keywords, visitor behaviour and many more important statistics! While there are dozens of analytics services out there, I still think Google Analytics is the best solution for most small to medium sized websites. Plus it’s FREE to use, and it’s hard to beat that! Another great, free service provided by Google. Google Drive acts as your online storage system, document editor and collaboration tool. It really makes your life easier when you know that all of your documents, writing and spreadsheets are available online, in one place that you can connect to from any device, anywhere in the world. This is one of many mind map software solutions out there. The basic account is free to use. A great little tool to keep your ideas organised! I use this website to print out my daily, weekly, monthly and yearly calendars. While the best calendars require a small yearly fee, even the free versions are quite handy and will suit most people’s needs.